The CID yesterday informed Court that 31 persons have been questioned and their statements recorded in connection with the murder of former Havelocks rugby captain Wasim Thajudeen and apprised Court that the suspects responsible for the murder would be arrested and produced in Court in the future. Meanwhile, Colombo Additional Magistrate Nishantha Peiris ordered the CID to expedite the investigations into the incident to ensure justice. The Additional Magistrate further observed that both private and government institutions have equal responsibility in ensuring justice and urged the Dialog Company to be continue its commitment to accelerate on going investigations. Meanwhile, the CID submitted to court that they were yet to receive the telephone conversations which are believed to have been made by Thajudeen prior to his death. Counsel who appeared for the Dialog Company informed that it has assisted court in every possible aspect and pledged its continuous support regarding the investigations. 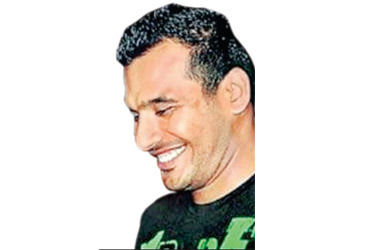 The CID further informed Court that the rib and tooth sample collected from the deceased's body have been sent to the ENETECH for a DNA report to ascertain whether the exhumed body at the Dehiwala mosque was of Wasim Thajudeen nor not. The CID detectives further stated that in order to perform this DNA test, a blood sample was also obtained from the mother of deceased. Further magisterial inquiry fixed for December 10. On July 27, the CID submitted to Court that the death of Sri Lankan ruggerite, Wasim Thajudeen was not an accident but murder. The CID had informed court that the investigations conducted so far had revealed that Mr. Thajudeen's teeth had been broken, the bones in the pelvic region also broken and his neck pierced with a sharp instrument prior to his death. The CID added that muscles in his legs had been cut with a piece of broken class. Former Havelocks SC captain Wasim Thajudeen was killed, apparently, in a road accident in Colombo in May 2012. Earlier, the police had maintained that Thajudeen was driving to the airport and had lost control of his car and crashed into the wall of Shalika Grounds at Park Road, Narahenpita, and that his vehicle had exploded within seconds of the crash.